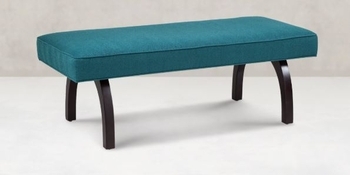 It is a bench. It is an ottoman. If you like, it can even serve as an impromptu coffee table. Who says you cannot be stylish and flexible. Certainly not Son. 1090 SON BENCH 48IN. 21IN. 18IN.